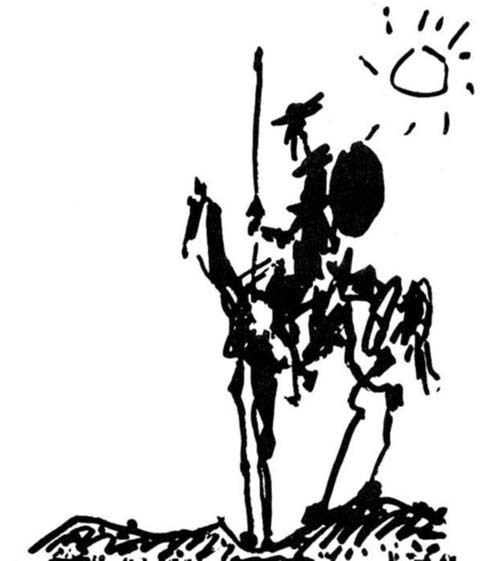 Theme: "Don Quichotte is against the unmanned utopy".The new technological developments that remove human power,,, An unmanned world,,, The efforts that seemed to remove human from the life,,, To rid of human-specific mistakes, not of human,,, Can a life be sustained without human??? How come would an unmanned world??? If the human being brings the end of the earth, could it be the human being who saved him again?RULES:1- The contest is open to all cartoonists.2- The cartoons sent to the competition may have already been published before but they should not have been awarded in another contest.3- Free technic. The participants can send up to 5 cartoons. They can also send their work to the following addresses (mail or e-mail) in original or printable format JPG and 300 dpi. No responsibility is taken for files sent in different formats and not opened.4- The size of the cartoons should be at most 30X40 cm.5- The Participants should send a brief biography, including their name, surname, address and phone number with their cartoons.6- The Deadline: 5th June 2018. 7- The results will be announced on 19th June, 20188- The cartoons sent to the competition will not be returned. They can be used for cultural purposes. Participants are deemed to have accepted these conditions.9- The award ceremony will be held on 6th July, 2018. AWARDS:3 Achievement Awards (3 Laptops)Other Awards: The awards to be awarded by various organizations.